Here are some videos about 11 hours before the asteroids closest approch to Earth in about 129,016 km distance at January, 13 UT 12:46. For the measurement of the magnitude of the asteroid, V-mags of reference stars from the Tycho catalog. are used.The different reference stars below are based on five different star areas. The red line is representing the average magnitude of the asteroid. The measurments are made about 12 hours before the closest approach to Earth. The 401 measurements of the magnitude of 2010 AL30 are based on 401 x 2 sec. images. The jumpy light curve is remarkable. 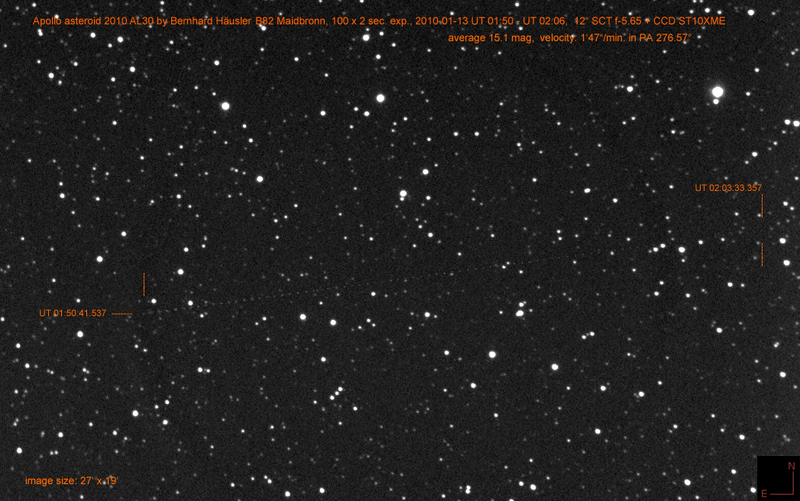 Indeed I could observe this dramatically changing of the magnitudes in steps of seconds during the image processing. 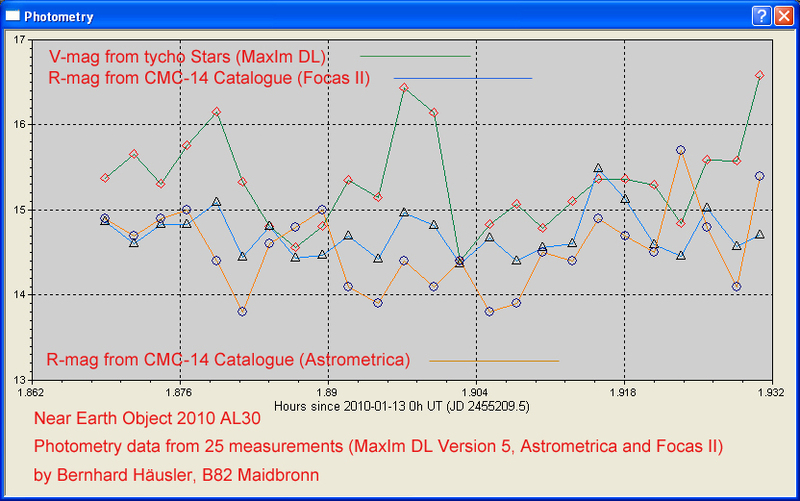 This is an comparison of 25 measurements, performed with MaxIm DL, Astrometrica and Focas II. The V-mag measurement is showing a significant delta to the R-mag measurements of Astrometrica and Focas II. Indeed all methods have their own caracteristics. 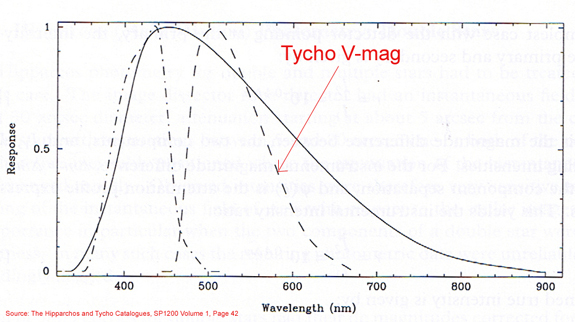 Comparison between the KAF-3200ME of the ST10XME and the V-filter of the Tycho Catalog. The exposures are made through a Baader IR/UV blocking filter.